Unmistakably bold. David Mallett combines worldly elegance with the sun-warmed spirit of Australia. Drawing inspiration from across the globe - from Paris to New York, from Tokyo across to Los Angeles - David Mallett lifts the veil on how professional hairdressers create fresh & contemporary looks for the runway. David Mallett and his team have transposed their unique vision into a specially developed, professional quality range of haircare. Having known he would become a hairdresser from the age of 4, David Mallett was 16 when he started in the field, transforming a lifelong passion into a career in Paris. David’s talent soon drew attention, and after being noticed by French Vogue, he was in demand with A-list celebrities. Throughout his career, David Mallett’s clients have included Kate Winslet, Demi Moore, Diane Kruger, Eva Green, Julianne Moore, Liv Tyler, Marion Cotillard, Naomi Campbell and Penélope Cruz. He has worked with the likes of Givenchy, Dior and Pirelli. With demand for his magic way with hair growing, Mallett was determined that his attention to detail would remain second to none, with a flair for creating hair that is personalised and glamorous, yet never impractical. He became known for his philosophy that “hair should look amazing in the real world, not just for the time when one is in the salon,” and his hair range being an extension of that deeply held belief. After listening to his clients and years of research, David Mallett created a hair serum. Unlike other hair serums, he wanted something that corrects while it styles, adding texture yet repairing damage. In line with David Mallett’s philosophy that day-to-day glamour should go hand in hand with practicality, David Mallett DM#027 Hair Serum was born. With an emphasis on haircare formulas that are sensitive-skin friendly and suited to all skin and hair types, the David Mallett range is so pure that they are in a class of all their own. With some scented products, these hair care products are so balanced and well measured to avoid causing reactions with sensitive scalps and those with allergies. Relying on natural ingredients that bring out the best in your hair, David Mallett hair products contain four natural ingredients that revive and maintain your hair’s youth. 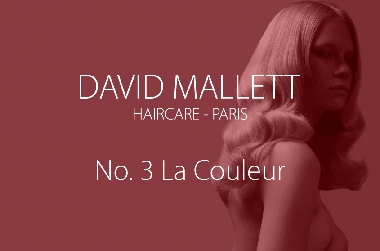 What are the four ingredients in David Mallett’s hair care range? What makes David Mallett a unique hair range? Showing 1 products of 1. I have tried a lot of shampoos and conditioners and heard great reviews about this. It wasn&apos;t as amazing as I was expecting. I have fairly fine hair and I feel like this conditioner left my hair a bit too weighed down, and it didn&apos;t hold cleanliness/freshness the next day. I have fairly fine hair. I have tried a lot of hair masks - this one is great! It leaves my hair so silky soft and the feeling lasts, and it doesn&apos;t weigh my hair down like some masks.